Do you have a client with troubled skin? If they desperately need to be rid of impurities, you can help! I like to think of it as "Pore Rehab!" It is an at-home treatment, to drastically improve your client's skin between appointments. Apply Bioelements Kerafole facial mask every day for one week. This intensive treatment plan will sweep away dulling cells, uncovering fresh, revitalized skin. When used for 7 days straight (no skipping), skin will experience a complete "purge" of its impurities and emerge looking clearer, smoother and brighter. Once pore rehab is completed, simply use 2 times a week, results will last 6 months! Reveals a new radiance with this 10-minute, tingling face mask. Skin will appear brighter and feel smoother. Impurities gone. Pores improved. Skin revitalized! Also available in a smaller 2.5 oz size! Peppermint Relaxing Soft Mask by Endear Skin Care Solutions is seriously cool! Use this mask for combination, oily, and acne prone skin. The antiseptic, anti-inflammatory principles of peppermint and teat tres help in treating acne, blemishes, and oily skin conditions. It repairs damaged skin cells, decreases excess sebum, and balances the natural oil secretion. This phenomenal mask is hydrating, purifying, and cooling. Leaving your client's skin clear and radiant! Pro Tip: Offer a high-frequency treatment to combat and protect against acne, and finish with this mask. Your clients will be thrilled with their results! Peptides are proven to reduce wrinkles and slow down signs of aging! How are you using them? Amp up your treatments with a 3-Layer Aqua Peptide Invisible Silk Beauty Mask. This mask is perfect to transform dull, dry winter skin. This mask is suitable for all skin types, especially dry and dehydrated. This cooling, hydrating, eco-soothing mask is designed to replenish moisture, revitalize, and smooth skin. Made from natural plant stems and lycocell, one of the lightest and most flexible fibers in the world. 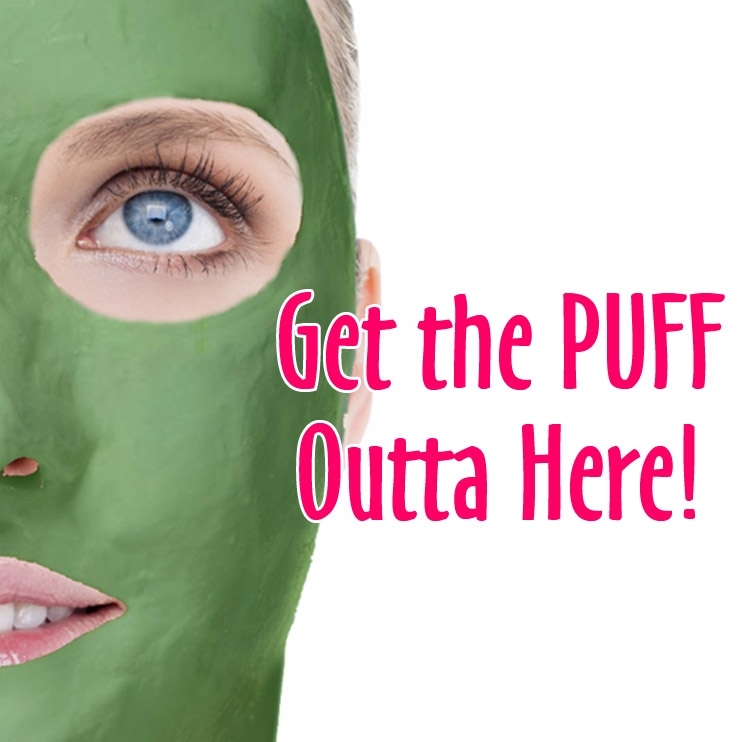 The mask contains peptides and hyaluronic acid, botanicals, and a hint of menthol, which makes it particularly cooling! 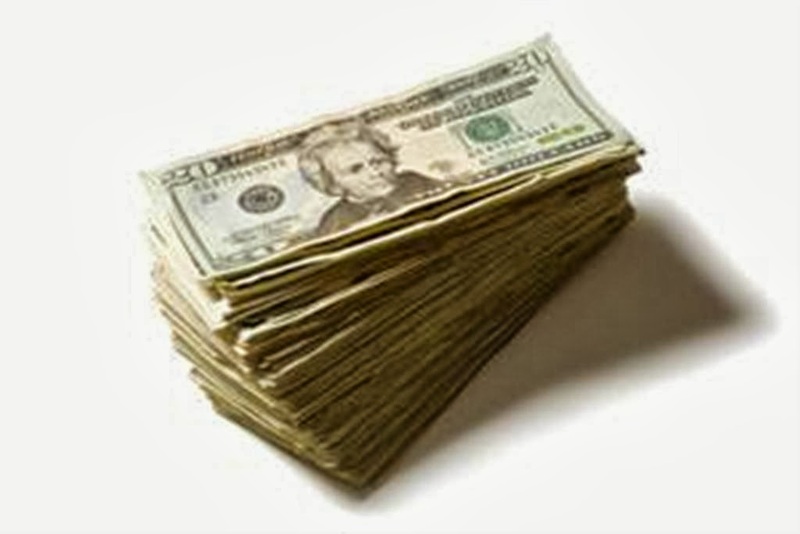 Whether you are a business owner or aesthetician, we all want the same results? Happy clients! A foolproof way to ensure customer satisfaction is immediate results. Add the Lightening Modeling Mask for brightening, leaving the client's skin radiant! Used for all skin types, it is especially effective for hyperpigmentation. Naturally brightening and soothing blend of concentrated skin lighteners in the mask diminish solar lentigines, blotchiness, uneven areas, or patches of brown to gray discoloration, and freckles. It does not irritate sensitive or allergic complexions. These extraordinary modeling masks, mainly created from a delicate rice powder base, are gentle enough for the most sensitive skin and safe after even the most aggressive treatments. These masks are natural, hypoallergenic and made without any harsh chemicals or preservatives. They leave the skin extraordinarily clean and fresh for an unforgettable luxurious facial experience. Used alone or with gauze for custom treatments. Everyone focuses on chocolate treatments for Valentines Day, chocolate products fly off the shelves every January. How about the rest of the year? People love chocolate, any time of year! If you put a basket of chocolates on the reception counter, clients will eat it. Why not offer End-of-the-Year Chocolate Guilty Pleasure treatments? Here is a body treatment that will leave your clients feeling like they jumped into a decadent pool of warm melty chocolate! In a large rubber bowl, mix 1/4 cup of dead sea salt with 1/4 cup of chocolate mint or chocolate cake oil. After mixing well, place the bowl in a mud warmer, hot towel cabi or large stainless bowl filled with hot water. In a medium rubber bowl, blend 5 tablespoons of white clay powder with 4 teaspoons of aloe gel. Add in 2 teaspoons of cocoa powder and 2 teaspoons of water, mix well. If this seems to dry, add a little more water until it can be applied in a thin layer. Keep the bowl warm until ready to use. Perform the body treatment as you normally would, including any add on services like dry brushing, Eco Fin, or even a facial mask! Have you seen the crazy Charcoal Mask videos on social media? They are all the rage right now - so why not get in on the trend? 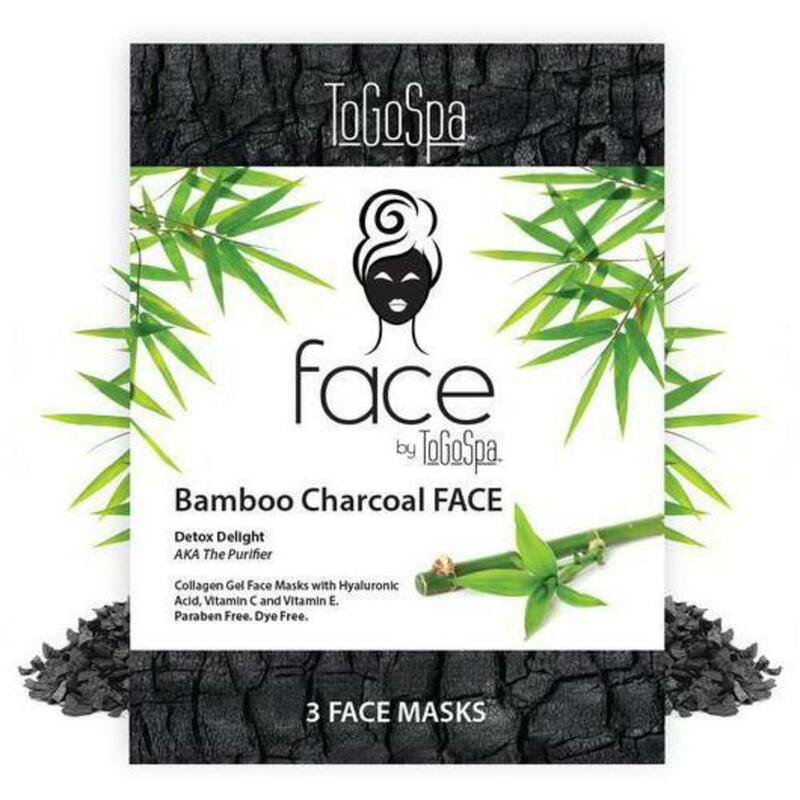 Pure Spa Direct just picked up some amazing new masks that are perfect for retail - and the line includes a Charcoal Mask! Clients will like your charcoal masks better, though, because instead of drying and hurting to remove, these are collagen gel masks, which contain all the goodness, without all the pain! 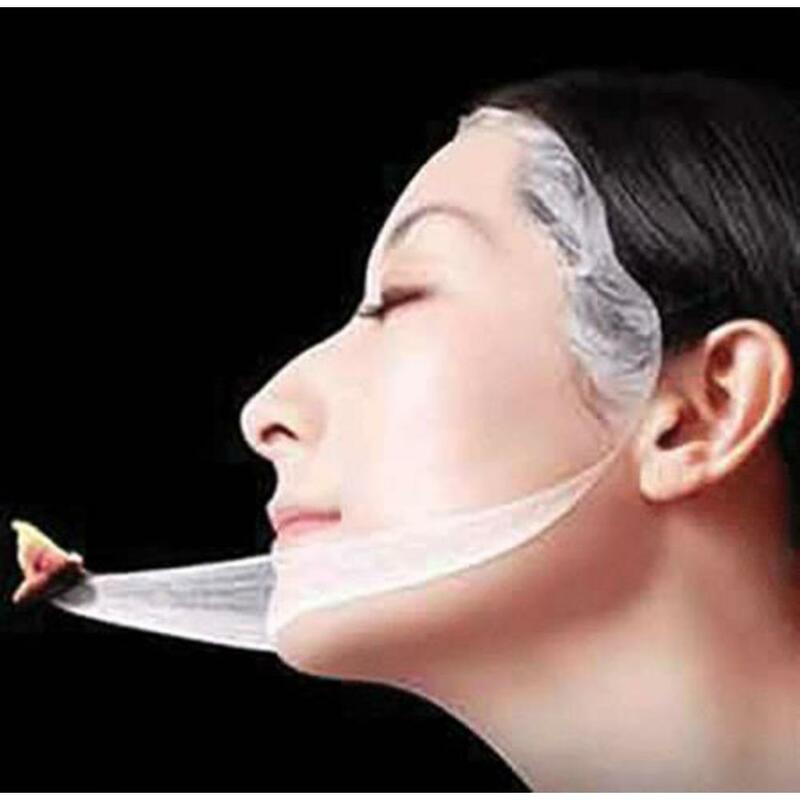 FACE collagen gel masks are micro-infused with a combination of hyaluronic acid, natural high-density marine collagen, enzymes, amino acids, natural marine minerals, trace elements, proteins and vitamins C & E. With just one 30-minute application, you will see improved elasticity, texture and overall appearance of the face. Activated by body heat, the nutrients stored in each flexible FACE by ToGoSpa™ gel pad go to work. ToGoSpa™ FACE contains No Dyes and No Parabens. 7 Packs of 3 Masks = 21 Masks total. Can be used for professional treatments or sold retail for home use. When it comes to skin care, add fruit and veggies. With the rise of wellness, people are paying more attention to what they're putting in and on their body. Adding fruit and vegetables to your services is both highly effective for results and client satisfaction. Want to try it out? We got you covered! Check out my recommendations for adding Spa Pantry fruit and vegetable powders to your treatments. 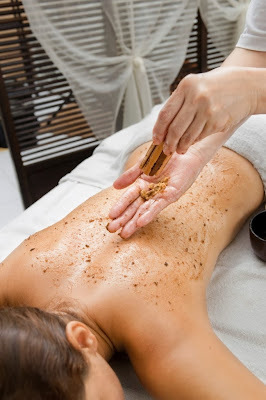 The powders may be used in scrubs, hydrotherapy, body wraps, masks, lotions, and muds. SPA PANTRY Carrot Powder / 1 Lb. Carrot Powder is rich in Beta Carotene and may nourish the skin and help improve skin tone and color. It works as a natural antioxidant to help reverse free radical damage. Carrot powder may be used in scrubs, hydrotherapy, body wraps, masks, lotions, and muds. 1 lb. It works as a natural antioxidant to help reverse free radical damage. Spa Pantry Powder / Coconut / 1 Lb. A gentle exfoliant, Coconut Powder leaves skin soft and glowing. 1 lb. Kiwi fruit is one of the most nutrient-dense fruit in the world, super rich in many different essential vitamins, fibers, and minerals. It has ability to repair DNA in our cells. 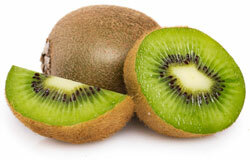 Kiwi fruit contains high antioxidants, it boosts immunity of our body and skin cells, which helps to fight acne. Aloe extract heals blemishes and repairs damaged skin. Allantoin and bisabolol soothe inflammation and encourage the recovery of skin. Designed for acneic skin type and inflammation conditions. High in antioxidants, kiwi helps boost immunity of our body and skin cells, which helps to fight acne. Helps heal blemishes and repair damaged skin. Helps soothe inflammation and encourage the recovery of skin. Usage: Excellent for acne prone skin. Herbal Infusion Masques are AWESOME! 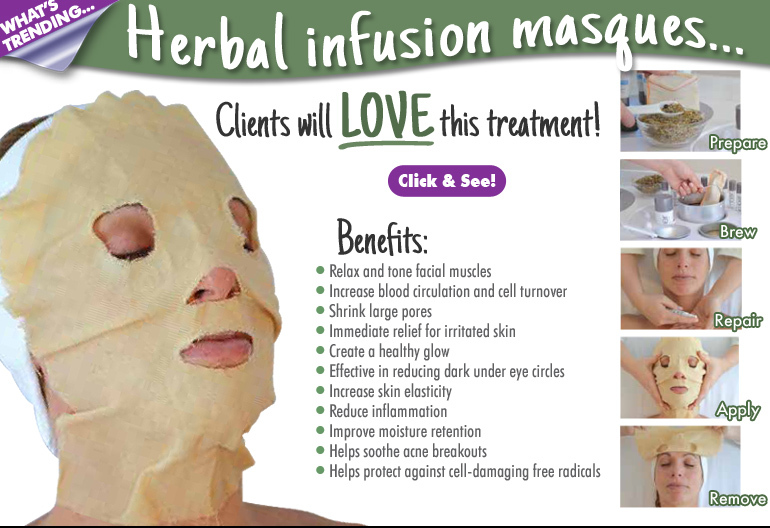 Herbal Infusion Masque treatments are AWESOME! The process is pretty simple and your clients will love this treatment! Basically you add the herbs to a muslin bag, brew it in medium heat water steeping for 20 minutes along with a fleece Herbal Infusion Facial Masque, apply a facial ampoule or serum to the face, wring out the brew from the masque and lay the mask on the face. Leave masque on for at least 15 minutes. Remove masque from face. Voila - an awesome facial treatment! The heat of an Herbal Infusion Masque has a tremendous effect for opening pores to drive any corrective Amber Serum deep into the skin. Each mix of Amber Facial Herbs is packed with skin-healing nutrients that are driven deep into the skin by the heat and inclusion of the masque. The soft, natural fibers of each Fleece Masque effectively hold and transfer herbal brew while providing a soft, comfortable treatment for the client. Herbal Infusion Masques relax and tone facial muscles while increasing blood circulation and cell turnover. Herbal properties help to shrink large pores and provide immediate relief for irritated skin - creating a healthy glow. High heat of masques raise skin temperature and increases perspiration releasing impurities. Herbal mixes are effective in reducing dark under eye circles while increasing skin elasticity and reducing inflammation. Herbal properties improve moisture retention, help soothe acne breakouts and are highly suggested for clients with sensitive skin. Antibacterial, anti-viral and anti-aging properties help protect against cell-damaging free radicals. Place 3 cups of water in Amber Pod canister. Measure 3 tbsp. of Amber herbs into small Amber muslin bag. Place filled muslin bag and Herbal Infusion Facial Masque into canister. Turn to medium heat and allow to steep for 20 minutes. Apply Amber Professional Serum to skin and massage. 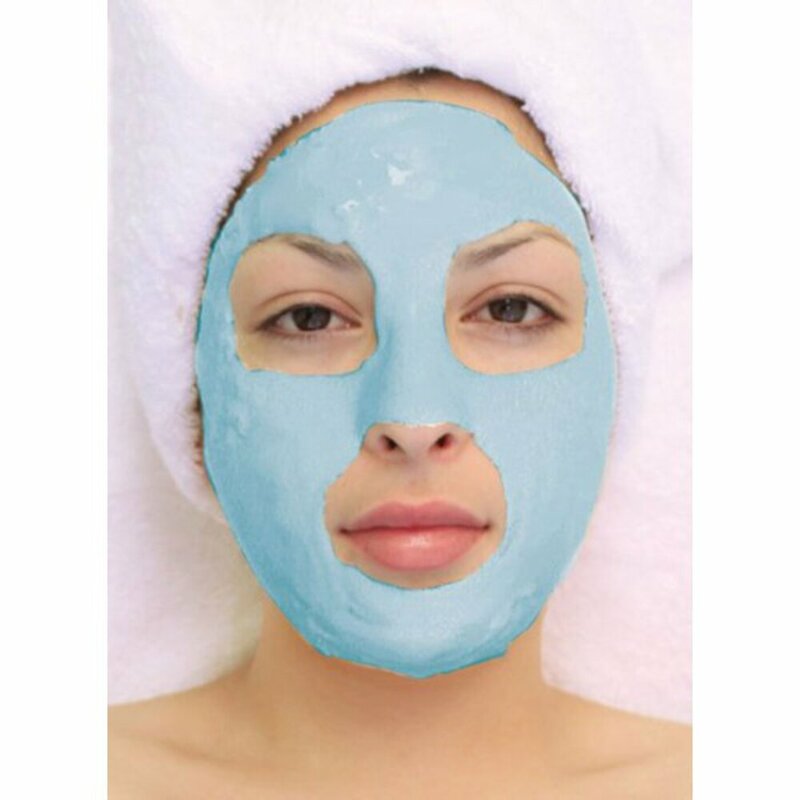 Remove submerged facial masque, properly wring out excess brew and lay on the face. Leave masque on for at least 15 minutes. Remove masque from face. Wash, air dry and reuse masque. New product alert, AND you can retail it! 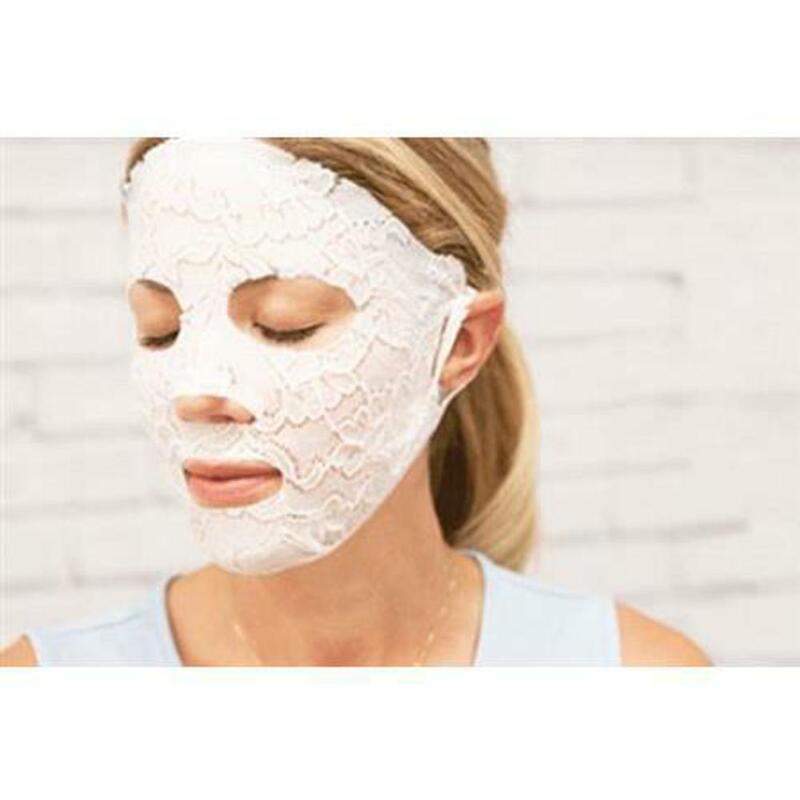 DERMOVIA Lace Your Face Compression Mask - a compression facial treatment mask that firms, lifts, repair and hydrates your skin. The only professional facial treatment that features LaceTex® technology to radically repair and renew the skin. Infused with clinical-grade ingredients that treat various skin conditions for long-lasting benefits. Uses gauze compression technology - a high-performance stretch lace fabric delivery treatment system infused with powerful skincare properties for immediate results. For professional use and retail. When sold as retail, consumers may be reused again within 48 hours! Healing Yogurt: Helps to rebuild strength into compromised and hypersensitive skin. Concentrated botanical extracts provide ongoing anti-inflammatory and restorative benefits that protect and prolong the smooth appearance of resilient skin. Pearl Powder contains amino acids that help smooth the skin and close pores. It is also known to protect the skin from free radicals. Bearberry is a natural Tyrosinase inhibitor, an enzyme that is responsible for skin darkening, and effectively treats age spots, freckles, Melasma, and hyperpigmentation. Hyaluronic acid is a smart nutrient that benefits soft tissue function and maintains skin health with its unique ability to hold in moisture, tissue repair, and protection. Mulberry Leaves contain anti-inflammatory properties that accelerate healing and helps improve skin tone and act as a natural skin lightener. Cleanse and dry face. Remove mask and carefully unfold. Press lace-side onto face. Peel off outer shell. Discard. Rinse Mask thoroughly under water and squeeze dry. Place mask into original pouch to soak in leftover serum. Place entire pouch in to a resealable bag. Store in a refrigerator and use within 48 hours. 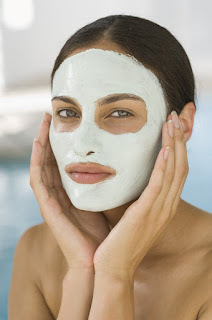 For a cool Mask, refrigerate for 10 minutes prior to application for a refreshing facial anytime. For a warm mask, submerge ouch in hot water for 1 minute. Unfold mask carefully. Test temperature on wrist prior to application. Who doesn't love to do masks outside of the spa? Check out some other mask options and add them to your order today! Add on Facial Treatments Now Available in Bulk Packs! I am sure you already know that add-on's bring in so much more profit. Adding under-eye masks to your facial services is such an easy, non time consuming addition. Even adding on a special mask to any of your regular facials can increase your profits as well. So what I am getting at is you want to make sure you are stocked up with your add-on options, so you can accommodate these requests. 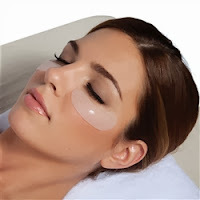 We recently just added a bulk pack of the Collagen Crystal Under-eye Mask and a bulk pack of the Collagen Crystal Facial Mask. The eye mask comes in a pack of 50 and the facial mask comes in a pack of 20! Purchasing these items in bulk will help save you a ton of time, money, and effort! The Collagen Crystal Under Eye Mask contains collagen, amino acids and natural plant essences to help firm and tone sensitive under eye area. Also helps to reduce puffiness and dark circles and is recommended for use once a week. 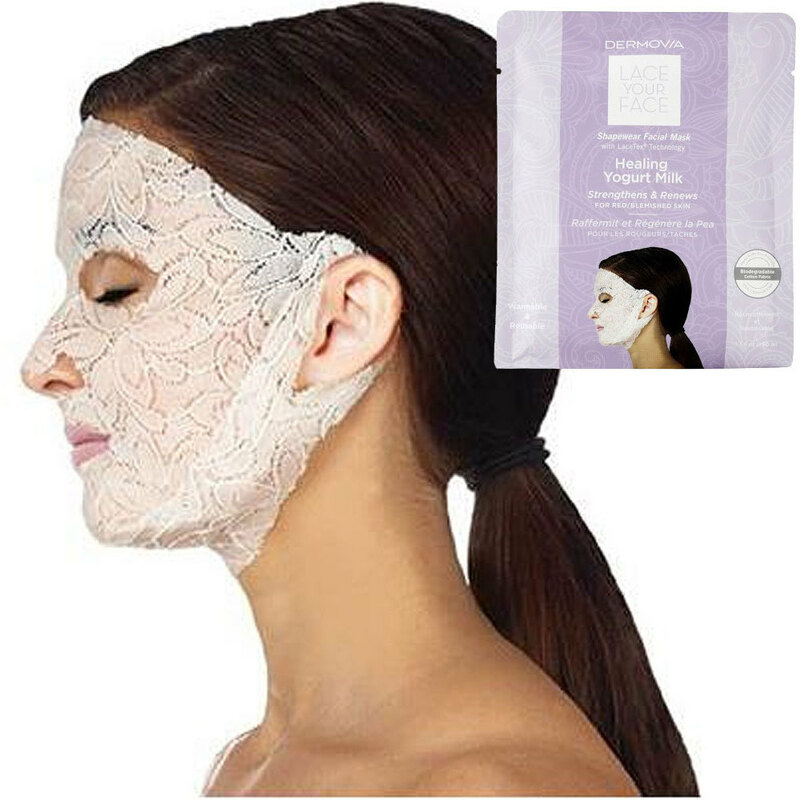 The Collagen Crystal Facial Mask contains collagen, amino acids and natural plant essences to help firm, tone, moisturize and hydrate face and is also recommended for use once a week. Your clients will love these add-on masks, and you will love the increased profits! This must be a cool mask because clients are buying them by the dozens everyday. Just add cucumbers and you'll look like my mom when I was a kid. I think I might even try it out... why? I have no idea... I'm just a shipping guy! 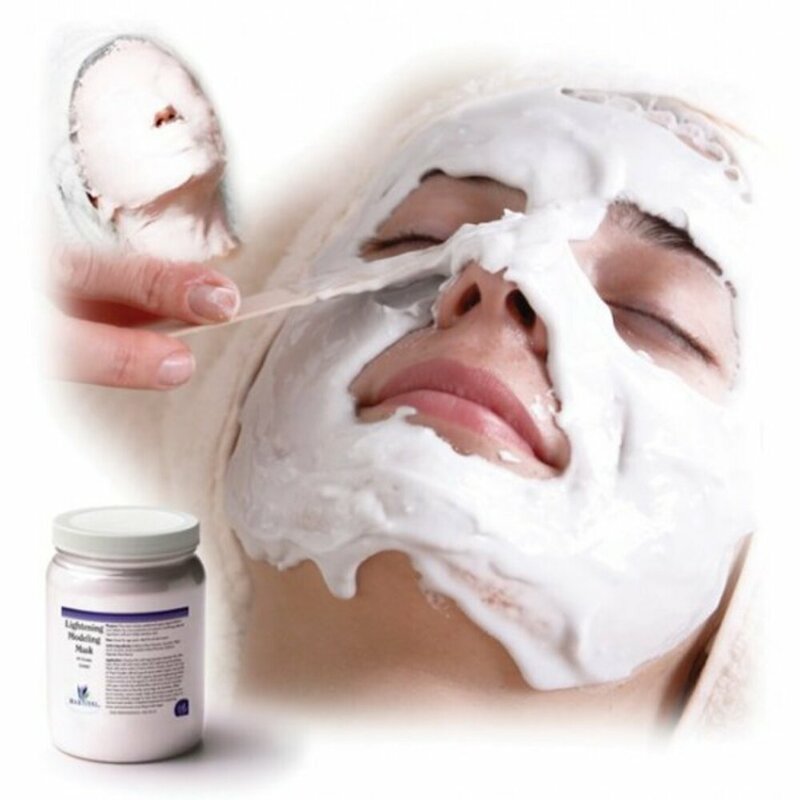 See our great Seaweed and Spirulina Peel Off Alginate Facial Mask selection HERE! Enliven Your Spa Menu With The French Wine Exotic Peel Off Mask! If you are looking for something new and exciting to add to your facial menu, the Pourelle Cosmetics French Wine Exotic Peel Off Mask is a great choice! This mask instantly leaves your client's skin feeling refreshed and looking firm and bright. I decided to go ahead and see what this mask was all about, and after removing it, I immediately saw a difference. My skin looked great the next morning too! For a face treatment, mix 30 grams of powder and 90 grams of water at room temperature (20°C). Mix vigorously for about 1 minute until you obtain a smooth and even paste. The mask will dry within 6 minutes. Leave on for 10 minutes; the mask can then be removed easily in one movement without leaving any trace. The French Wine Exotic Peel Off Mask contains beneficial grape tannins. Tannins are known to regulate the formation of collagen and restructure the skin, clearing the complexion and brightening the skin. 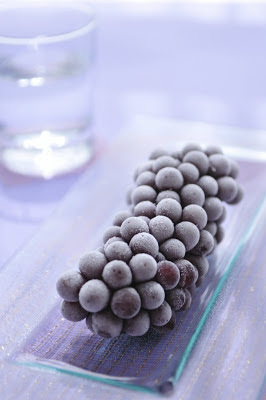 Tannins contained in grape marc are involved in collagen synthesis by helping restructure the skin. In the end, the complexion looks clearer and the appearance of visible signs of ageing has diminished! 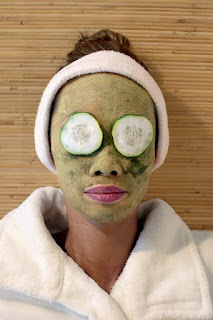 Green Tea Better than Vitamin A, C and E. Use It As A Facial Mask! Green Tea has so many different beauty benefits that there has been a surge of companies using it in their products. 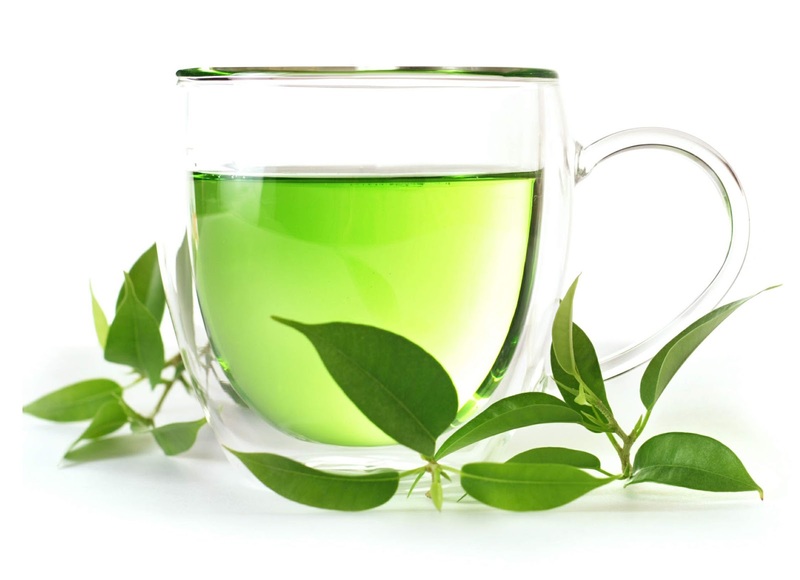 Key fact here is that green tea has more antioxidants than than the normal Vitamins A, C and E that many beauty companies use as preservatives for their products. The world is full of toxins, so why not offer something to your clients that will fight and get rid of damaging toxins, while at the same time make them look younger? Green Tea Facial Masks will leave your clients faces feeling silky smooth. In addition, the mask reduces inflammation and redness and offers intense hydration. Offer the service of combating toxins and making your clients' skin look and feel younger by using the Green Tea Facial Mask, they will love it. Not enough? Pure Spa Direct has plenty of different kinds of facial masks. Just visit our website, the selection we have to offer is huge! Put Your "Masque" Back On! I know it's almost Halloween, but these "masks" aren't for scaring, although some do look a little scary! UQ Masques have been very popular this week. They come in a variety of uses from hydration masques to collagen masques to feet and hand masques. So don't be "tricked" this year by mediocre masques. "Treat" yourself to one of these!... why? I have no idea... I'm just a shipping guy! See our great uQ Masque selection HERE!